After first announcing the change almost a year ago, USAA has switched from MasterCard to Visa as its credit card processor. The United Services Automobile Association serves military members and their families, who comprise a large bulk of our population. It’s also one of the largest issuers of debit and credit cards in the United States. So, as you can imagine, this is a big blow to MasterCard. This change is, of course, good news for Visa. 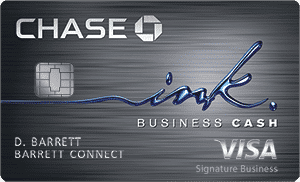 Visa currently holds the majority of market share in the credit card industry — about 50%. Acquiring USAA as a client only puts Visa further ahead. For USAA credit card holders, this should be good news as well. The switch will bring Visa’s state-of-the-art capabilities to USAA credit card holders. For one, Visa is the world’s largest electronic payment network. It’s widely accepted by merchants and ATMs around the world. So, you’ll have no problem using your card across the country and abroad. Another big feature is the elimination of foreign transaction fees. When you travel abroad, not only will your card be accepted by most merchants, but you’ll also enjoy not having to pay an extra fee on your purchases. Your card number will change, so that is one downside. A few minutes out of your day to update your billing accounts with the new information is all you need, though. If you travel abroad frequently, this change will definitely benefit you. Overall, the switch should be a good one for most USAA credit card holders. Your PIN will not change during the conversion from MasterCard to Visa. Your rewards points and cash back earned on your MasterCard will roll over to the Visa card. The rewards program is also staying the same. You’ll keep the same terms of your account, including things like interest rate and credit limit. Your account history will remain on your credit report and your credit score will not be affected. It’s clear that USAA really thought this transition through. They obviously worked hard to make sure the switch was executed properly, with little impact to credit card holders. On USAA’s website, the credit cards have an average review rating of 3.9 out of 5 stars. USAA also has a tool on its website for you to answer a few questions in order to get a credit card recommendation. 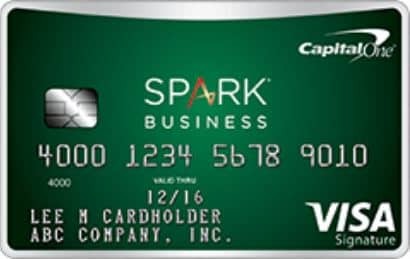 All in all, USAA’s switch of credit card processors from MasterCard to Visa is a good move for all involved — except for MasterCard, of course. As the nation’s largest credit card processor, Visa continues to dominate the market with their share of half the market. Credit card holders will enjoy multiple benefits that make this card good for use while traveling abroad. First, there is no foreign transaction fee for all Visa cards. Second, Visa is widely accepted at merchants across the world. So, you’ll have no problem using your card at home or abroad. With six different Visa cards to choose from, USAA appeals to a wide range of people within the population of military members and their families.